Many Australians are well aware of the need to support Australian businesses. Ask anybody you meet down the street, and they’ll likely say that they are proud to buy locally made products—and why wouldn’t they? After all, buying Australian-made ensures employment stays high in the local community and helps maintain a high-quality standard to boot. You’re probably aware of the ‘Australian Made’ logo. If not, count yourself as one of the 2 percent of Australians who aren’t. The symbol is a powerful identifier of genuine Australian products, recognised by 98 per cent of the entire Aussie population. Unfortunately, the logo can be misleading. It gives the impression that a product was made locally, when in fact the materials, labour, or some other component within the production line could well have come from overseas. A genuine Australian manufacturer ensures that it buys raw materials from local suppliers. The materials are then processed and packaged by Australian workers to create truly ‘Australian Made’ products. This is the type of manufacturer that a nationalistic PR Agency in Sydney relishes working with. UGG has been manufacturing truly ‘Australian Made’ products of the highest quality since 1974. The company maintains its head office in Miami, QLD, factory-direct stores in Surfers Paradise, QLD and Sydney, NSW, and a large network of distributors and resellers throughout the world. You can visit their factory in Miami to see how Genuine ‘Australian Made’ UGG boots are manufactured. 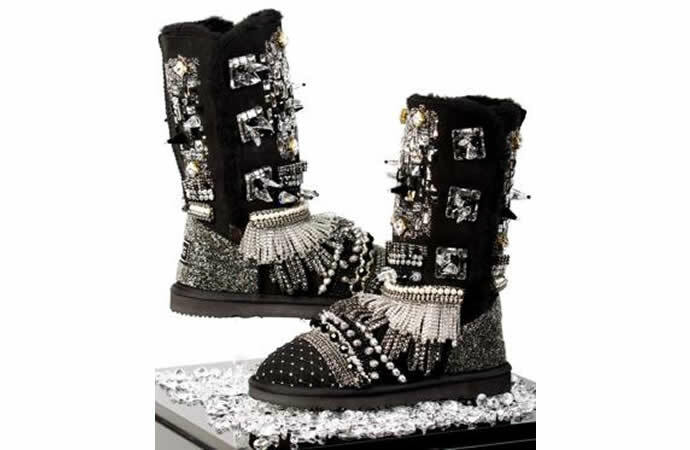 Who knows, you might even get a glimpse of the one of a kind $15,000 Swarovski Crystal encrusted boots they’ve recently unveiled. As a top-calibre company, UGG only wants to entrust its PR needs to a Sydney-based Public Relations agency that shares its passion for all things Australian. That’s why it chooses to work with Polkadot PR.